A white, two-story house with one-story sunrooms on each side. A short white fence runs across the front with a white staircase leading down a hill towards a path.Some trees grow around the house and vines climb the front wall, near the entrance. 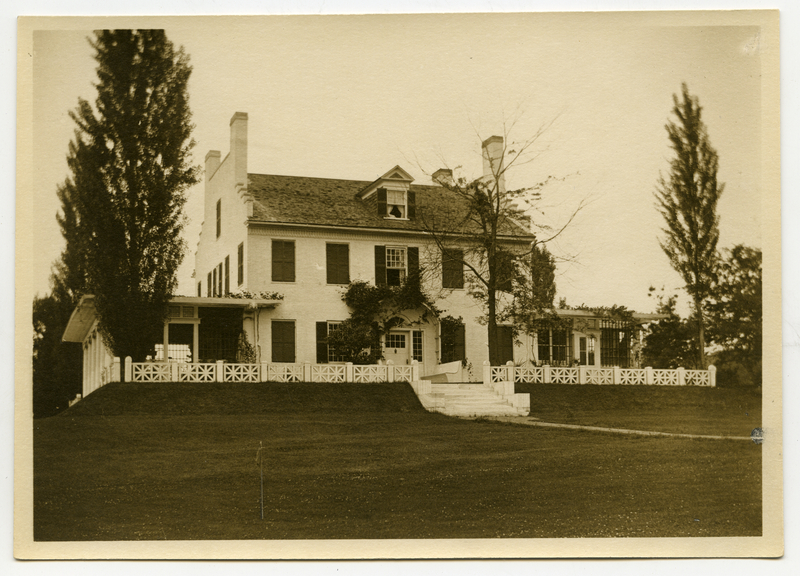 Johnson, Clifton, 1865-1940, “Home of the sculptor St. Gaudens,” Digital Amherst, accessed April 23, 2019, http://digitalamherst.org/items/show/3545.